Read the interview on Fabiana Borges, born in a favela in Rio, moved to San Antonio Texas and is cleaning up in the women’s division. She has just opened her own school. If she wasn’t doing BJJ she says she might have been a veterinarian. Fabiana Borges began training BJJ not knowing that she would be one of the best in the world throughout a very prestigious career. After 20 years in many careers people look forward to retirement but Fabiana is one of a long list of BJJ practitioners that seem to be just getting warmed up. Professor Fabiana Borges is one of Gracie Barra’s top female athletes. She started her career in BJJ at 11, earning six Brazilian National Titles, simultaneously receiving her blackbelt on the day she earned her sixth title. Professor Borges is a standout competitor and highly regarded in San Antonio, Texas her home away from her native of Brazil. Professor Borges talks to BJJLegends about her journey in BJJ, her return to San Antonio, and what plans she still has for the future. BJJL: How did you get your start in BJJ? FB: I was looking for a sport to do by my house. I tried soccer, basketball, and many others but I didn’t like any of them. Then, one day I went to try BJJ by my house. It was a social project offered by a politician and free. I loved it after my first class. My instructor at the time Fabiano Gaudio said I was really good and those words made me feel good. I was 11 years at the time. BJJL: Describe your first competition. FB: I was 11 years old and a white belt. My uncle took my cousin and me to the tournament. I did very good. I won first place by an armbar. BJJL: Why did you decide to make the U.S.A your home? FB: My original plan was to come to stay six months, train, and learning English. Everything started to go well, I started to teach, train at Gracie Barra, and I decided to stay. I didn’t feel confident going back to Brazil to live off of BJJ. At the time I was going to school to be a Veterinarian, I was 20 years old and made a decision to come and see what the USA would bring to me. BJJL: What is your favorite part of instructing? FB: I love teaching. I like when I see someone learning and changing through BJJ. I love to see people getting confident and falling in love with Jiu-Jitsu. I feel very blessed to be able to help people through Jiu-Jitsu. BJJL: What is your day-to-day training regimen like? FB: I am always training with my students and working out. I train BJJ at least one time a day. When I get closer to competition I train BJJ 2 times a day and do conditioning training 2-3 times a week. I try to eat very clean on a daily basis, so I don’t have to suffer cutting weight. BJJL: Talk to me about your charity work. FB: I came from a really poor neighborhood from Rio de Janeiro and my family is still living in the favelas. So, whenever I go back I try to help as much as I can. I try to take used clothes and give back to the community or even some BJJ social projects that I have friends teaching. It’s hard, I travel by myself with 3-4 bags or boxes, I have to go through customs and sometimes they can tax me for bringing so many clothes to Brazil. But it’s worth it and whenever I go back home I try to do that. It’s working very well. BJJL: Who or what is your inspiration or driving force for achieving your goals? FB: My family. When I was younger and brought home medals or magazines, my dad used to show everyone in the favelas, he still does. My goal is always to make them proud. BJJL: When is your grand re-opening, where is your new location? BJJL: What will your school be offering in terms of training, classes, and hours of operations? 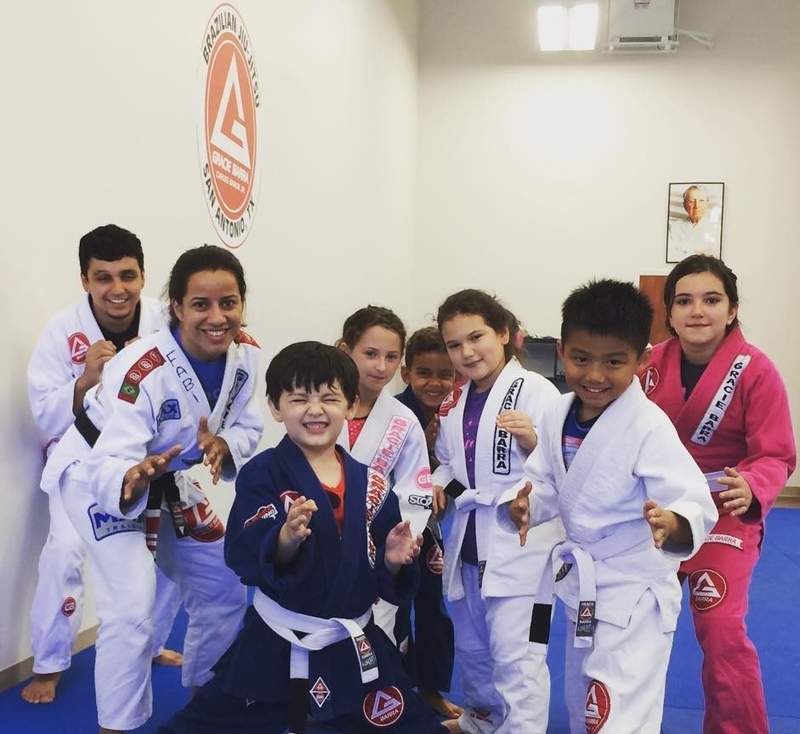 FB: Gracie Barra San Antonio will be offering kids and adult classes as we grow we may offer other activities but our main focus is helping people through Gracie Barra Jiu-jitsu. BJJL: How do you determine what tournaments you will compete in? FB: I usually compete in Pan Ams, Worlds, and some IBJJF tournaments in Texas. It all depends if I will have the time to dedicate myself for the tournament. BJJL: So many young woman look up to you, do you see yourself as a role model? FB: It’s weird to see myself as a role model. I don’t feel like I do anything special to be a role model, but I know a lot of people look up to me. Sometimes I get messages/email from people saying thank you and it makes me really happy. BJJL: Where do you see women’s BJJ headed in the next 5 years? FB: I think women’s BJJ has grown a lot. I believe we will see more ladies owning their own schools and it will help to have more girls training, more girls competing, and getting more space in the BJJ scenario. BJJL: Do you see yourself venturing into the MMA world or starting a career as an MMA fighter at some point? FB: Nope. I never dreamed of it. This isn’t one of my goals. BJJL: What has been the biggest obstacle in your career? FB: I don’t know! Maybe when I had knee surgery in 2009. I was away from my family and luckily had my friend Mirian Cardoso to help me. I didn’t speak English very well, I was only 21 years old. It made me grow. BJJL: How has your game grown in the last year? FB: My game has changed a lot since I come to the Gracie Barra Team. I used to play a lot of closed guard and fast submission. At Gracie Barra being around Kayron Gracie, Otavio de Sousa, Marcio Feitosa, and Ana Laura Cordeiro I started to have a better open guard game and my top game definitely changed a lot. I am much more confident passing guard now a days. I believe I am more technical too. Our fundamentals curriculum helps you a lot to understand the basics of Jiu-Jistu. BJJL: Would you like to see BJJ return to submission only? FB: That would be fun. A lot of tournaments are doing it now. BJJL: You competed at the Five Super League this summer, how were you selected as a competitor? How was the competition? FB: Mike Calimbas was the first one to mention this tournament then I spoke to Ricardo. The competition was phenomenal. They treated us very well, very organized and a big structure. I loved to be part of it. BJJL: Will you be competing at No Gi Worlds? FB: I don’t have plans to compete this year. I did all the tournaments and traveling that I wanted in the first semester. I knew I was going to be very busy with my school. I want to focus at Gracie Barra San Antonio in this second semester. I want to build a very solid team and then we can get ready for tournaments, travel, and compete together. Gracie Barra San Antonio is my priority now. BJJL: How does your tournament prep differ from your normal training? FB: I believe my mindset changes. I always joke with my students that I am in competition mode and they know that the training will be very intense. So, they don’t ask me questions in the middle of the training and I am always focusing on points and submissions. BJJL: What has been your proudest moment since you started BJJ? FB: When I went back to Brazil in 2013, after 5 years without seeing my family. It made me realize how much I achieved in my life. Also, on my Grand Opening on August 15th. I was very happy to see all the important people supporting me on that day. You could see happiness glowing from my eyes. I wish my family was here to see it. BJJL: What are your plans for the future? What goals do you have left? FB: Well, now I am 100% focused on my school. It is growing very fast and I want to make sure I take good care of it. I want to help my students achieve their goals and help the community however I can. I am still planning on competing in 2016 and getting gold medals. I have a lot of personal goals and goals towards my family. I am looking to take some college classes to help me with my business and I am always looking forward to improving. BJJL: Are there any matchups that you haven’t had that you want or would like to redo? 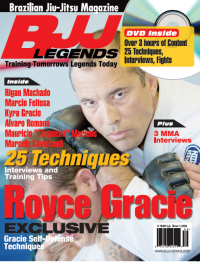 BJJL: If you couldn’t do BJJ what would you be doing? FB: I would probably be a veterinarian. That is what I was studying before my move to the USA. I am sure I wasn’t going to be as happy as I am now. BJJL: Is there anyone you would like to thank that you have never had the opportunity to thank for helping you get to where you are today? FB: There are many people/angels that helped me to be where I am right now. My family, my first professor Fabiana Gaudio, my good friend Miriam Cardoso that encouraged me come to USA, Professor Marcio Feitosa, and Master Carlos Gracie that had helped me to grow as an athlete and women, giving me the opportunity to have my own school and live for Jiu-Jitsu and all the Gracie Barra family for being the greatest BJJ Team/Family in the World. Professor Fabiana Borges has had a career spanning 15+ years. The only competing female black belt in San Antonio, her deparature a year ago left a bit of a void in the female BJJ scene. Professor Borges is a role model, a formidable opponent, and a beloved professor to faithful students. Her infectious personality is one that permeates a room and makes each encounter with her all the more enjoyable. The return of Profesossor Borges to San Antonio is just what female practioners are in need of. The San Antonio Open is on the horizon (first time ever) in December and she came back just in the nick of time to prep a brand new team of worthy opponents. Professor Borges has achieved goal after goal. She has had a career in which many would aspire to. Her work in the BJJ world is far from over.